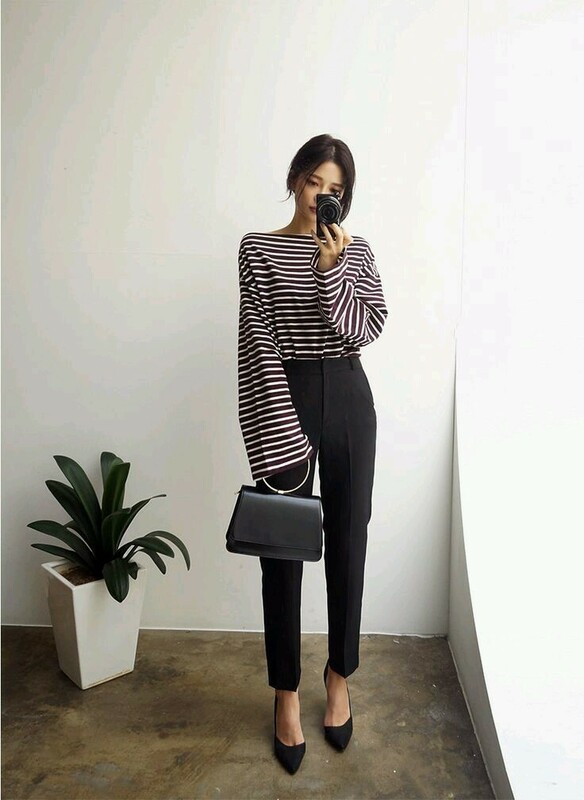 Sometimes the most basic of outfits like this one can be the most appealing. First, there isn’t a lot of time and thought that must go into putting it together. Second, pulling off “simple” is a great feat in the fashion world. Third, a basic outfit paired with killer accessories wins every time. So, what is this basic outfit, you ask? 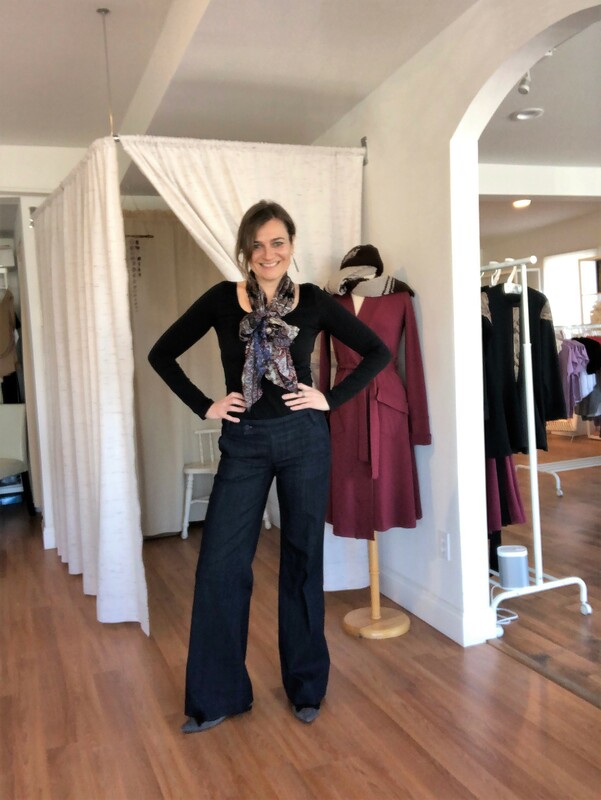 A pair of Tory Burch Trouser Jeans I scored at Changing Tides Consignment. 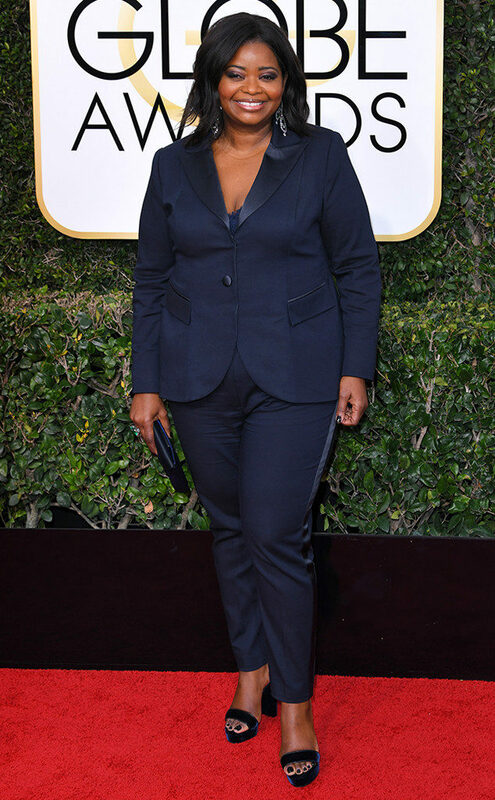 I love a good trouser jean because they are dressed up and professional while also being, well, jeans. On top is a black ballet top that is fitted in order to balance out the wide leg of the pant. 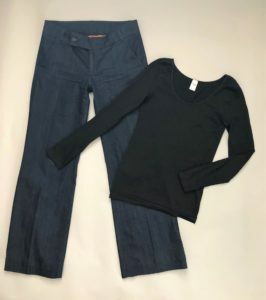 This basic top from If the Shoe Fits has served me well as a base layer to wear under sweaters and dresses but also as a basic top that pairs well with most pants and skirts. 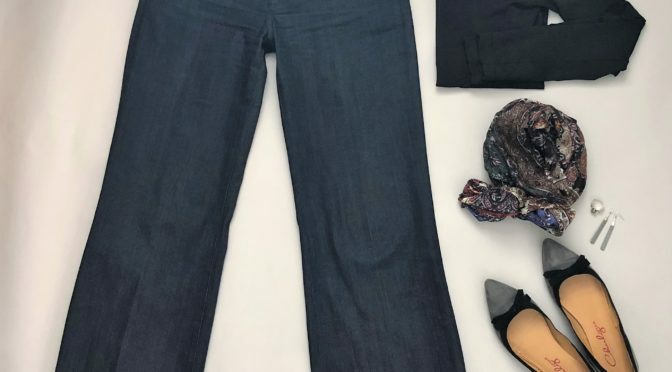 This basic outfit isn’t so basic when it’s paired with great shoes, great jewelry and a beautiful scarf. In this case, I chose gray flats with a pointy toe (to elongate and balance the wide pant) black bow detail also from If the Shoe Fits and slate gray drop earrings from Up Front Wellfleet because they complimented the paisley silk scarf (this one was a gift from London, but I have seen many like it at Directions in Hyannis) I wore to add some more interest to the outfit. Love Local Media is a Cape Cod based media company that publishes The Current Quarterly, Cape Cod’s only dedicated fashion and shopping magazine and Ebb and Flow Cape Cod, Cape Cod’s only dedicated health, wellness and sustainability magazine. The CQ comes out four times a year (the beginning of each season) and Ebb & Flow twice a year (Spring/Summer and (Fall/Winter). We are seeking an intern for the 2019 calendar year. Help create editorial content for both magazines through writing and by helping to identify products that are trending/visually interesting. 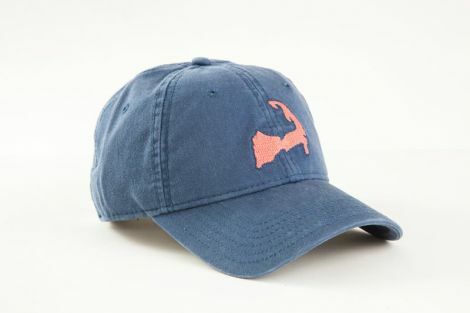 Assisting on photo shoots by organizing product for photos, recording product information and returning borrowed product to locally owned stores. Attending and assisting at magazine events. An interest in magazine publishing and in supporting local businesses. The ability to write and report on different kinds of content, including but not limited to fashion, beauty, health, wellness and environmental issues. Availability one to two full day(s) for most months throughout the year, particularly close to magazine deadlines and for magazine events. A valid driver’s license, and ability to drive from one end of the Cape to the other for product pick-up/drop-off. The internship is unpaid, but we are dedicated to making sure interns learn valuable skills that will help prepare them for their next internship or college and will be happy to write a letter of recommendation, provide mentorship after a job well done. 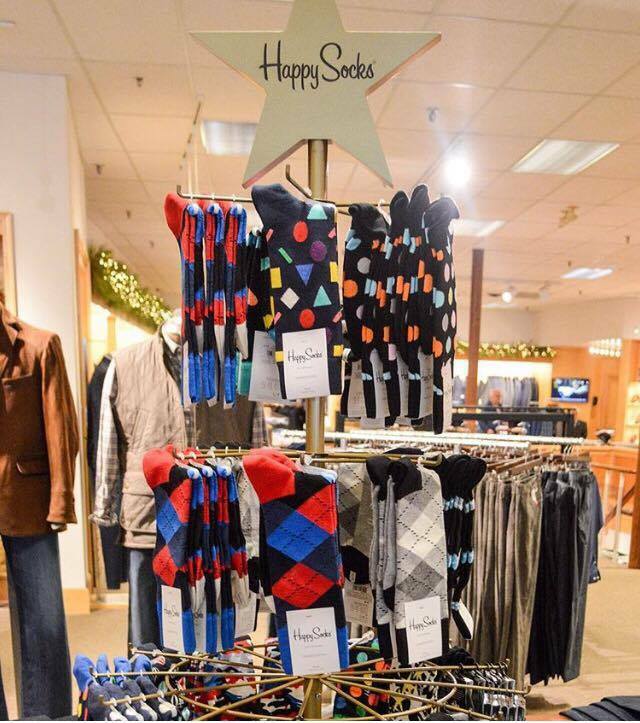 Shop Small and Local on Black Friday and get super good deals! 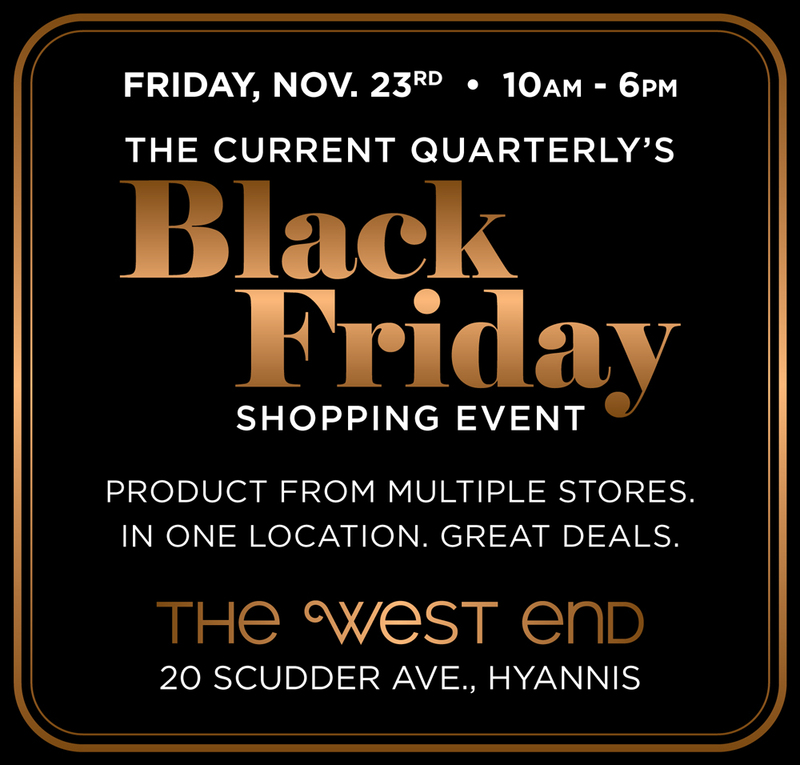 The Current Quarterly is bringing together merchandise from twenty local stores for the biggest local Black Friday sale on Cape Cod. Everything is priced to sell! Make it a whole afternoon at The West End where they will be serving bar bites and a specialty cocktail! Also, don’t miss Sposabella Bridal’s bridal gown and special occasion dress sale just down the street! 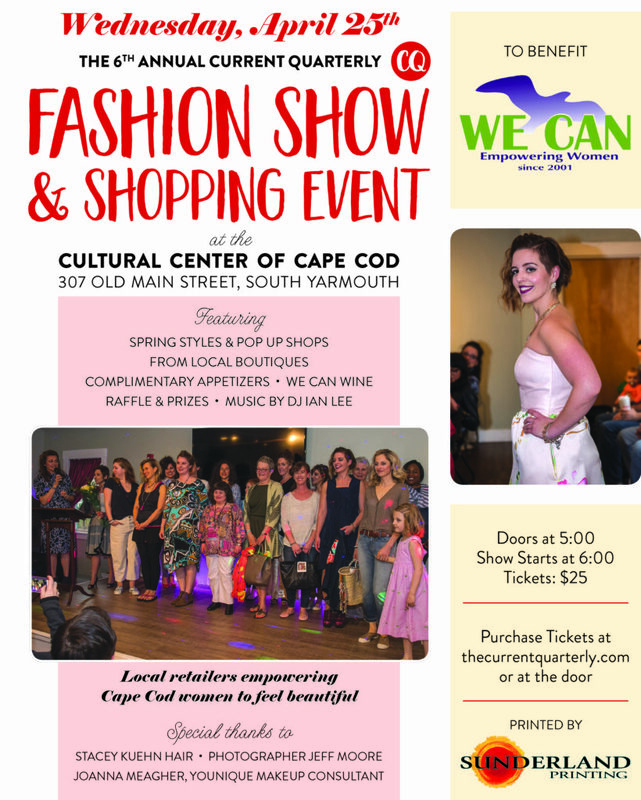 It will be our 6th year hosting a fashion show and shopping event to benefit the great local organization Womens’ Empowerment through Cape Area Networking (WE CAN)! We are excited for April 25 and hope to see you there! 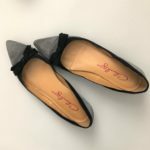 Shop Local this Wedding Season! June 1st makes it official: it is wedding season on Cape Cod! Whether you scored only one invite or a dozen you’re going to need a gift to help the happy couple get off to a good start. 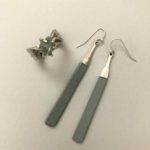 We highly recommend going “off-registry” for a gift and shopping local. Many people shy away from this option, but if the couple gets a something similar gifted to them from a department store, they can always return it for cash or something they maybe didn’t get. 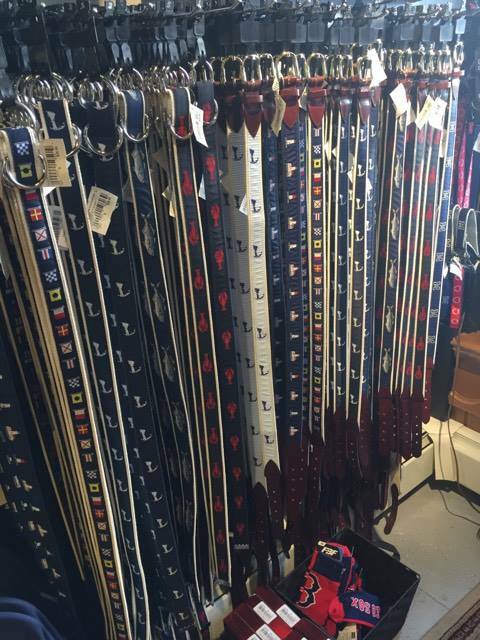 Shopping local means you will likely get your loved ones a higher quality and more unique and memorable item, and also invest in the Cape Cod economy. 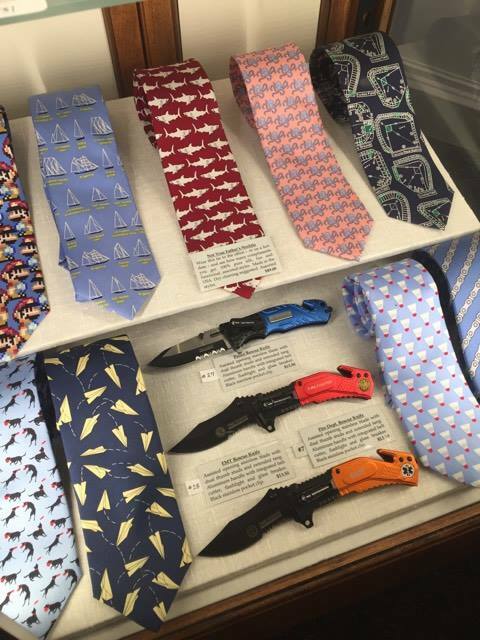 So, where should you go to find such perfect-for-the-occasion gifts? Our go to for small appliances and specialty kitchen gadgets is always Snow’s Home & Garden in Orleans and Harwich. It is hard not to find what every bride and groom need for a starter home. 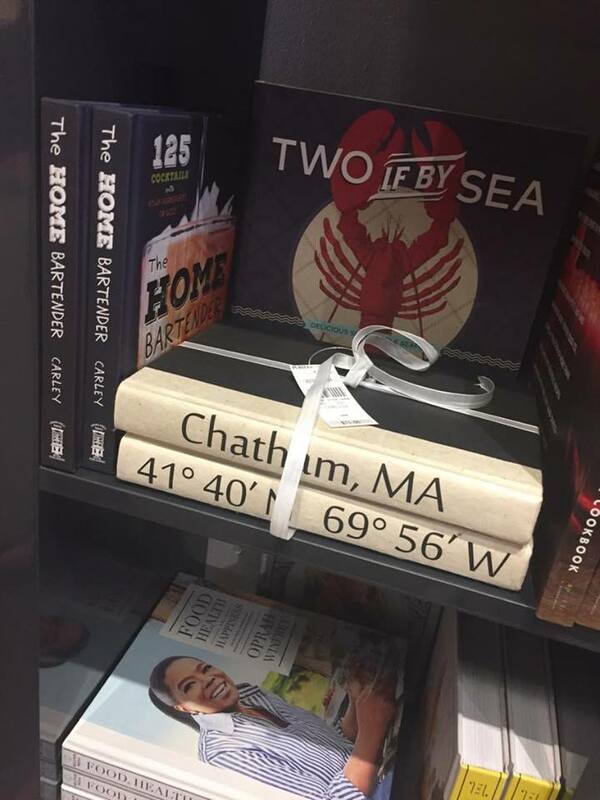 For beautiful linens and tabletop, we love Design Works on Route 6A in Yarmouthport. 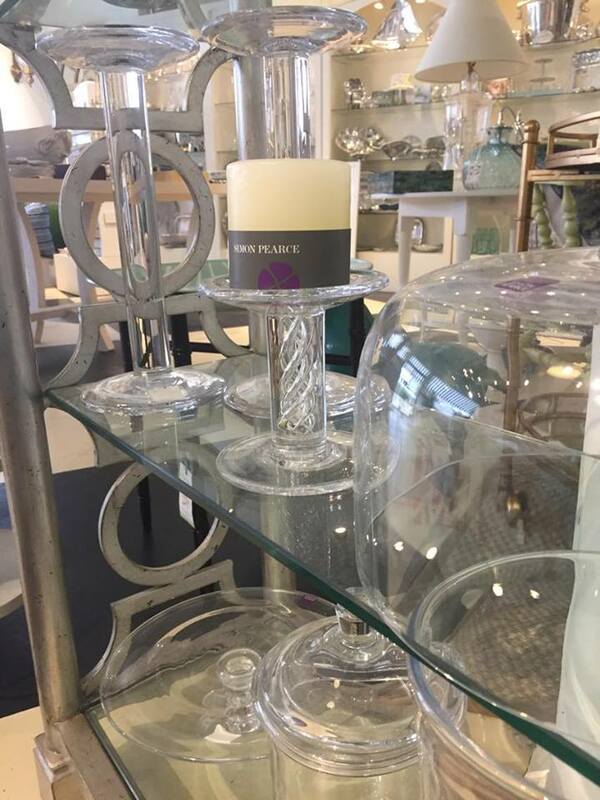 Margo’s in Osterville has everything for making a house a home from small rugs to glassware to picture frames. 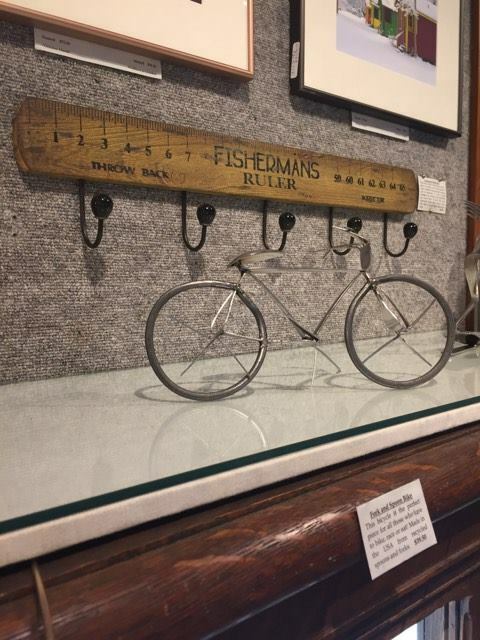 You can also find home décor like wall art and throw pillows at Fresh Interiors in West Dennis. 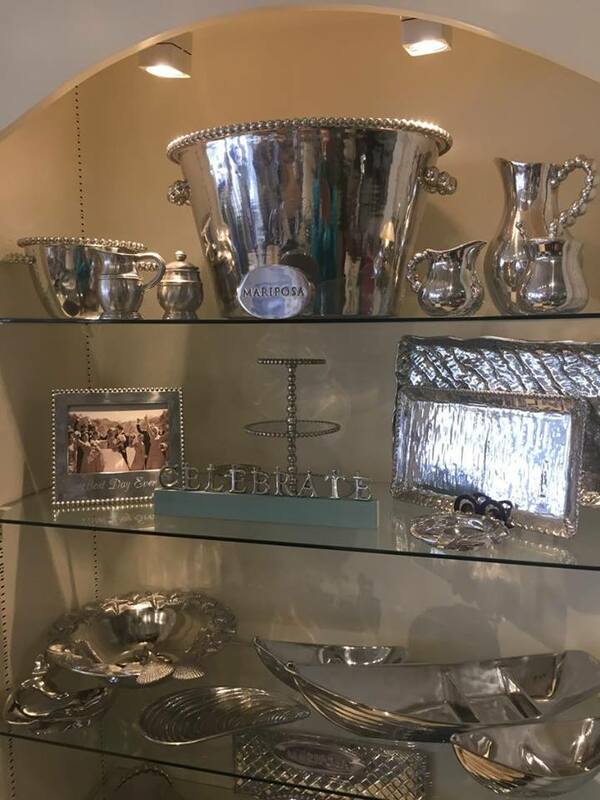 And the newly expanded gift section at the Hyannis location of Puritan Cape Cod has perfect keepsakes like serving platter, frames, and books that can be eng raved to help the happy couple remember their day. Are you getting married, and want to make sure your guests purchase gifts at locally owned shops? Registry sites such as Zola, My Registry, Simple Registry, and Blueprint Registry allow you to add items from any business that has an online presence! 5th Annual WE CAN Fashion Show! 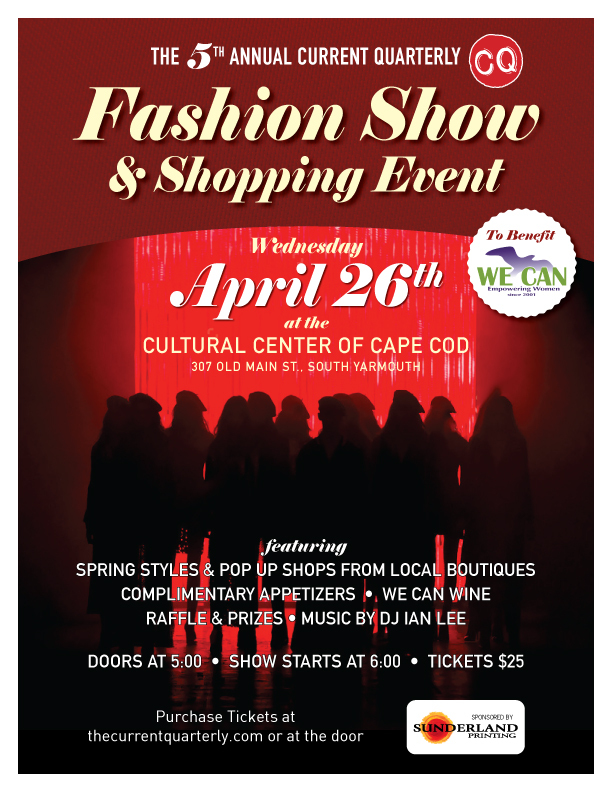 Save the date for our 5th annual WE CAN Fashion Show that is scheduled for Wednesday, April 26 at The Cultural Center of Cape Cod. Raffle Prizes from: Cape Cod Beach Sand Jewelry, Shift Eco Boutique, M. Smith Company, Underground Bakery, Frances Johnston, $100 Gift Card to Consigning Women, $50 to Barnes & Noble, $25 to Local Break, $40 to Jailhouse Tavern, Private Brewery Tour for 6 to Cape Cod Beer, 2 tickets to the Figawi Ball, and the GRAND PRIZE of 2 Pairs of Round Trip tickets on Cape Air to Martha’s Vineyard. 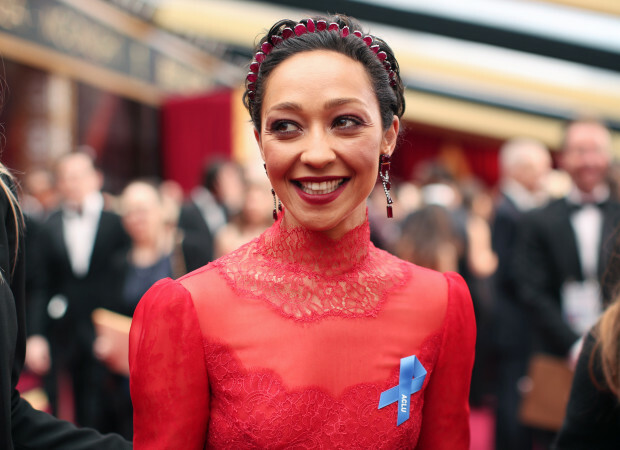 The Oscars red carpet is something fashionistas look forward to all year – it’s like the Superbowl of the fashion world. 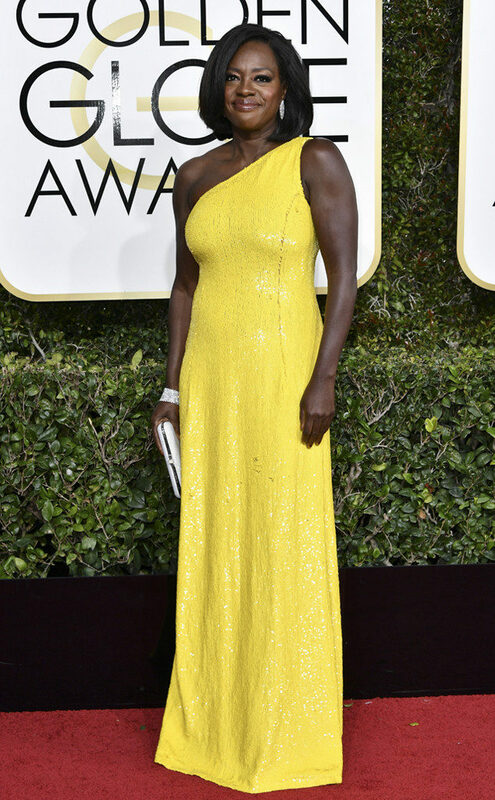 Favorite stars can exceed expectations and walk the carpet in the most beautiful gown you have ever seen. It is truly one of the greatest and most watched art shows on earth. 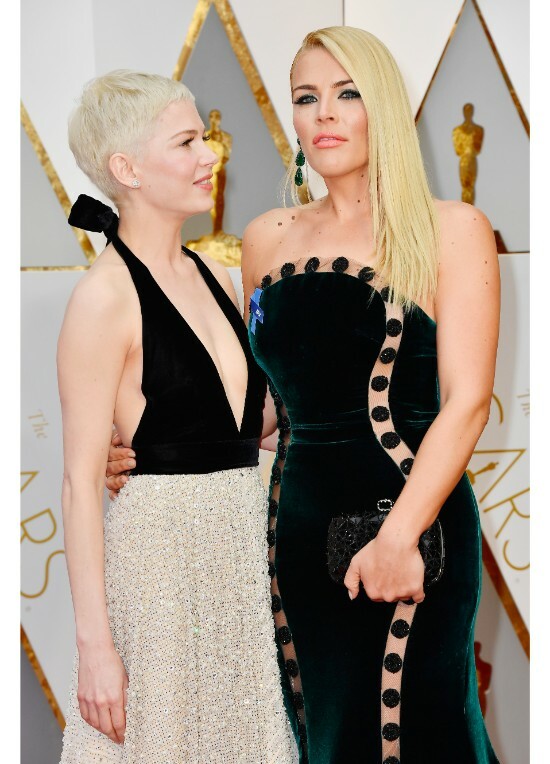 We’ve already made the case that the red carpet during awards season informs fashion trends for the rest of the year, and even Cape Cod will see the impact of the choices and styles seen on the Oscars red carpet in particular right here in our local boutiques. Color: white/cream and gold combination (and pops of red). It is our opinion that shopping for women for Valentine’s Day is one of the easiest things to do. 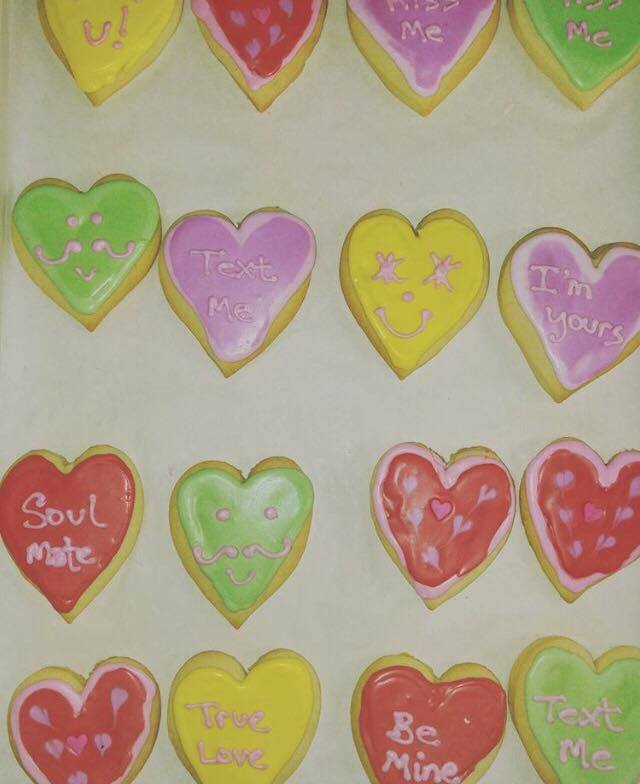 All of the go tos – jewelry, flowers, chocolate, a romantic dinner – are go tos for a reason: they work! Men, on the other hand are damn near impossible for whom to find gifts that are both sweet and functional. 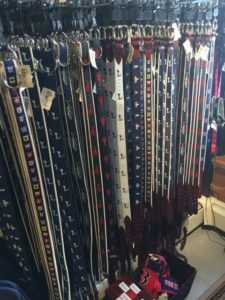 But we did a little research for all of you struggling with this same predicament – whether it is for your partner, father, brother, son or good friend – we’ve found some cool and unique gifts that are sure to make him as happy as a sparkly necklace makes you. 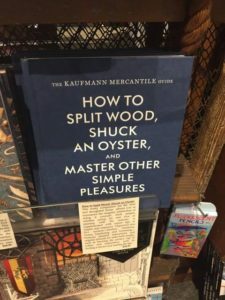 For the salt-of-the earth, lover of simple pleasures kind of guy we found the perfect book from Yankee Ingenuity. 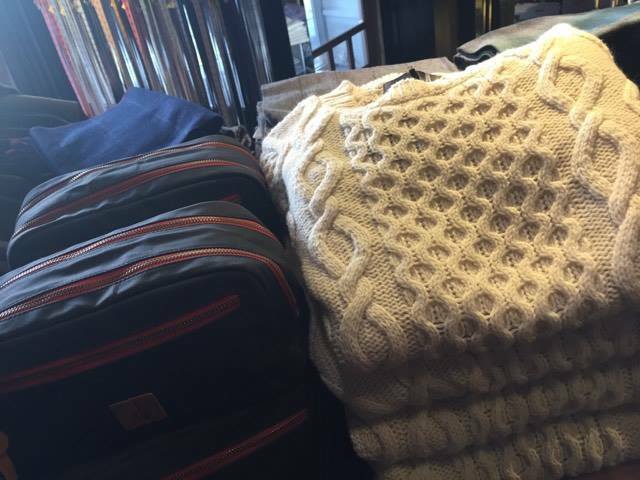 We also loved the vintage and upcycled coat rack also from Yankee Ingenuity, as well as the classic wool fisherman’s sweater in cream and navy blue waterproof dopp kit from Chatham Clothing Bar. 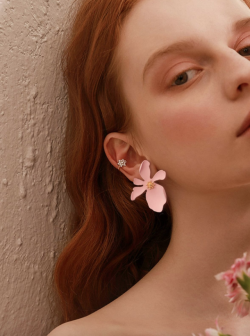 We might be digging ourselves out from under a foot of snow here on Cape Cod, but one of the gifts that January brings to us fashion lovers is that it marks the start of awards season. The Golden Globes, Oscars and SAG red carpets not only present an often epic art show, but the fashion we see on the celebrities on the red carpet will also influence the styles we will see in our very own Runway Rundown feature in our print magazine, as well as on the racks in our local boutiques (yes, even here on Cape Cod). No, we are not expecting Cape Codders to start donning column gowns and strutting their stuff down the Main Streets of our small towns and villages, but the color, material, and special qualities we see will show up in the overall look or as accents in clothing that will be available for consumer purchase in the coming year. Whether you buy into it or not, the arrival of a new year creates possibilities to reevaluate, rearrange, reorganize and reset. You may think of these as resolutions, or just simply intentions you will set for the upcoming year; regardless there are many local businesses that offer opportunities to tackle any and all of the most common goals that will inevitably be set for 2017. Looking to begin or advance your yoga practice to reduce stress and strengthen your physical body? 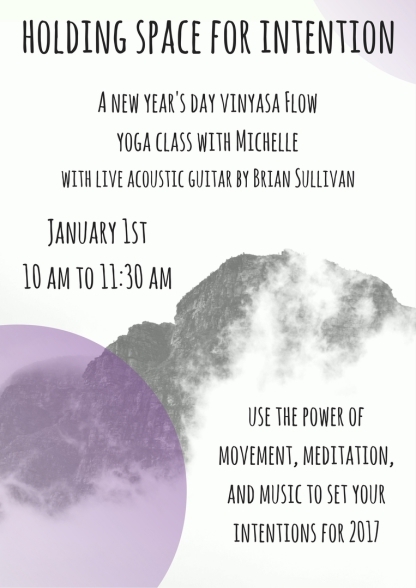 Both Inner Glow in Mashpee Commons and Centerville Yoga & Wellness in Centerville offer yoga classes and workshops that are designed for both beginners and advanced practitioners to help them move, breathe, and meditate their way into their own yoga bliss. 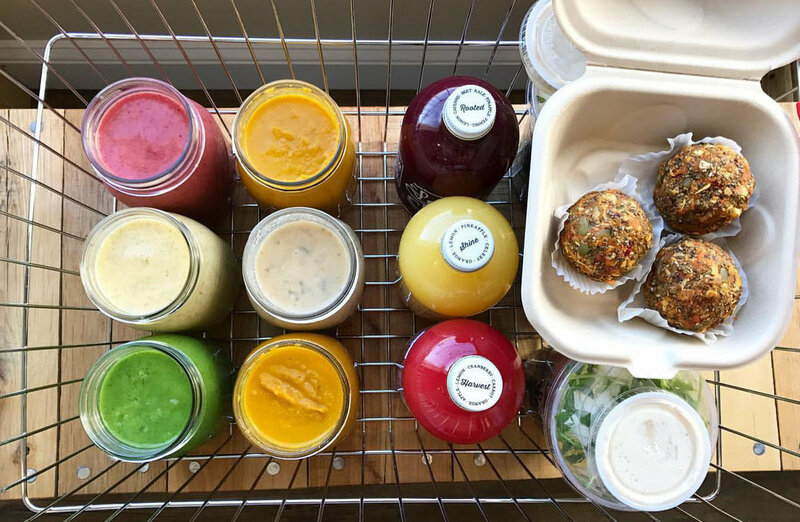 Reset your body and learn how to eat mindfully with The Local Juice Clean Kits that prepare you for three days of clean eating with their smoothies, juices, grain bowls and soups all curated by Registered Dietitian Nicole Cormier. 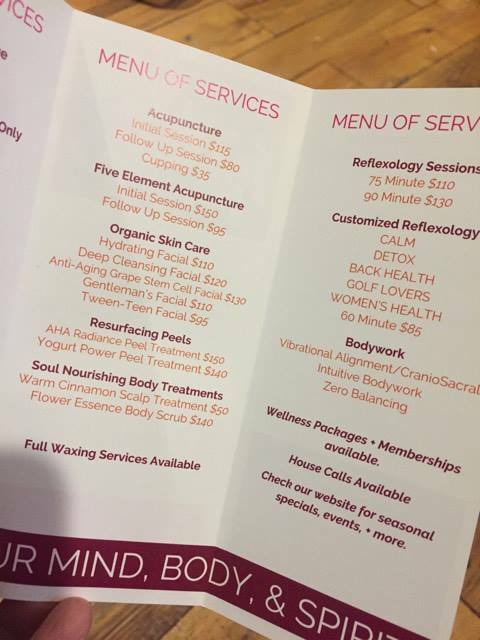 Engage in more self-care by getting a massage, manicure or microcurrent facial at Solstice Day Spa, or try an alternative therapy treatment like acupuncture, cupping (think Michael Phelps), reflexology, or a vibrational alignment at Therapeutic Bodywork. Gain a new skill by finally learning to play an instrument by participating in the rental or rent-to-own program at Charlie’s Music, learn to make soap at one of Summer House Soaps’ frequent workshops, or become a wine connoisseur at one of Cape Cod Package Store’s wine seminars. If you have set your sights on a more “traditional” resolution like redesigning your home or office space so it functions as you need it to, check out Margo’s in Osterville where they offer design consultations to help you determine what changes might suit your needs best. If your redesign calls for some closet purging, our editor Amanda Converse is adept at helping anyone rid themselves of stuff they don’t want or need cluttering their lives. 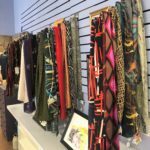 And if your New Year’s resolution is to invest more in your community by shopping local, we are happy to help point you in the right directions for all of your shopping needs! CQ Beauty Bar – what’s the deal with permanent makeup? CQ Beauty Bar – there’s a first time for everything!